The 3D release of Star Wars, The Phantom Menace hit theaters this weekend and appears to be a success. Before anyone saw it--or the other two prequels, Attack of the Clones and Revenge of the Sith--there was a lot of hype about the tremendous number of technical breakthroughs employed to create the films. Things like them being the first major films to be shot using digital cameras, Jar-Jar Binks being the first completely CGI character ever created (predating Gollum), and a host of other innovations. On the other hand, count me among those who feel that these three films were a grave disappointment. And one major reason why is that Lucas seems to have forgotten some of the very ideas and lessons he tried to instill in the first three films (Star Wars, The Empire Strikes Back, and Return of the Jedi). One of the key themes in the first three films was about the relationship between humanity and technology. Remember, the first film was made in the pre-PC era when computers and digital technology were just on the cusp of entering our daily lives. There was a lot of concern about what this may mean for humanity. Coming during the height of the Cold War, which was in part created by one humanity's last major "breakthroughs", the ability to slice open the atom and create nuclear weapons, it wasn't at all unreasonable to be concerned about the dark side of technological advancements. What happens when humans create things that are more powerful than our ability to understand and control? What if we become too dependent on this technology? Is something of our humanity lost in the process? As technology embeds itself every more thoroughly into our lives--mine, too--these remain timely and important questions that we should keep asking. So one of the themes in the original Star Wars trilogy is about the consequences of technology running amok. This plays out on several levels--from the enormous destructive power of the Death Star (which looks, unsurprisingly, not unlike the original atom bomb, Fat Man) to the very personally employed technology that is solely responsible for keeping Darth Vader alive. Vader lives fully encased inside technology, it covers every inch of his body, and without it, he would die. He even speaks and sees through it. It has blended completely with him. There would be no "him" without it. Yet, at the same time, his outfit is black and, at least at first, we believe him to be the very embodiment of evil. Technology has not only cloaked but possibly destroyed his humanity. It is no accident, then, that in the final installment, Return of the Jedi, Vader reclaims his humanity and turns back to goodness by removing his helmet, the technology that kept him alive. On the other hand, the "good guys" also use plenty of technology, too. Light sabers, starfighters, and R2-D2, are just a few examples. The difference is that "good" knows how to use technology without becoming overwhelmed and ruled by it. It's a tool that remains under control of the human spirit and never an end in itself. This, I think, goes a long way in explaining why the first three films were good and the most recent three…not so much. Lucas seems to have entirely forgotten his own lessons. In the Phantom Menace, Attack of the Clones, and Revenge of the Sith, he seems far more focused on showing off his technological achievements than emphasizing much more important "human" things like writing a good script/story, choosing his actors wisely, and then actually directing them appropriately. All the things that make a movie truly great are treated as second-class citizens to his own technological playtime. Yes, the original Star Wars was itself a technological wonder for its time but clearly Lucas himself never understood, or forgot, the real reason why the first three films are so loved: their human, mythological, and spiritual dimensions. The techno-breakthroughs were thoroughly secondary. The whole thing leads to an almost-too-unbelievable-to-be-true meta-situation where his own movies and themes comment on and explain his own producing, writing, and directorial failings. There’s something illuminating and instructive about this beyond the opportunity for us to be aware of our own relationship with technology. Often, we intuitively know what our biggest weaknesses are, because that's what we point out in others. Lucas must have seen the tendencies in himself to become overwhelmed by lesser important things at the expense of the more important. This happens to us all at one point or another. Intellectually, we know to be cautious about some trait or environmental situation, yet still, we end up sucked into it again and again. 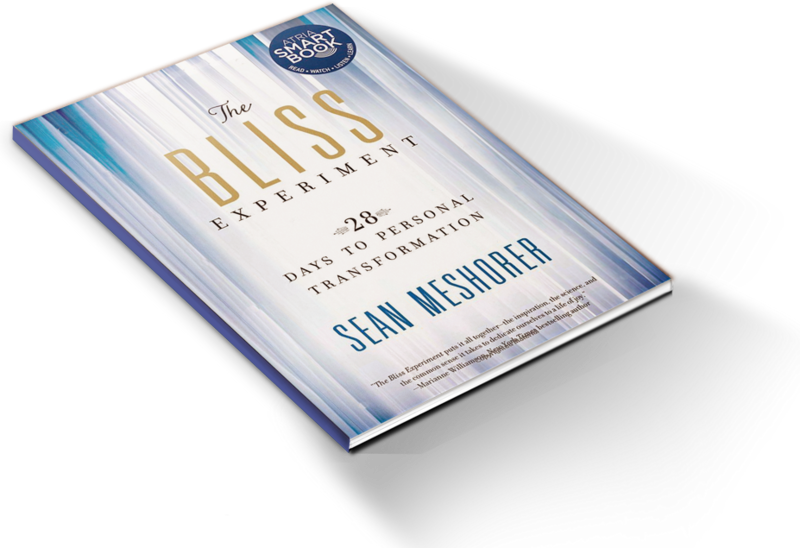 The solution, of course, as we explore in The Bliss Experiment book, is we must learn to cultivate inner awareness of our thoughts, actions, and motivations, and then using certain tools, calmly and gently guide ourselves away from danger and towards more positive and ultimately fulfilling higher states of consciousness. Intellectual knowledge is never enough. It always must be accompanied by genuine practice--and not just once and then forgetting about it forever after. Our awareness and choices must be continuously practiced and affirmed over time.